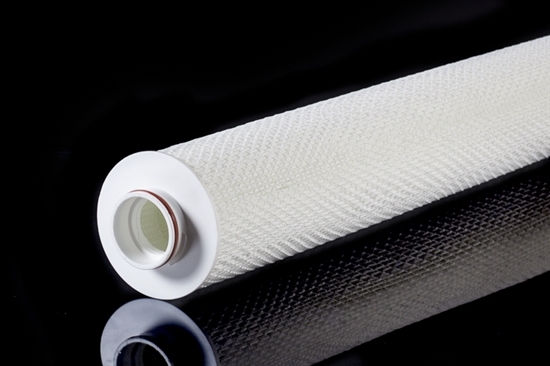 The MaxGuard large diameter pleated Glass Fibre filter cartridge is designed for high flow applications in the Industrial Process and Oil & Gas industry. It’s 100% thermally welded in its construction. • Integrated handle for easy and quick change outs. • Reduced operational costs and reduced change outs. • Fully thermally welded, no glue or adhesives. • Large diameter yields higher flow rates. • High flow capacity permits use of fewer elements and cuts capital expenditure.